Call me cynical, but I always keep an eye on Friday afternoon press releases–Friday afternoons are the great graveyard of bad news. That is on track for over 50 million notices a year for search alone. Understand this–it is highly likely that every notice Google received was for a link on a page for which Google served–or profited from–at least one ad. It’s also likely that those ads were from brands to which Google had promised that it would not serve ads on sites with infringing content. And guess what happens when Google charges an advertiser for serving an ad in violation of its contract with an advertiser. Actually giving effect to such a system would be a step toward ending the advertising supported organized crime that is a large part of the “hybrid economy” on the Internet. Assuming Google really does what they say they will, this announcement may signal the beginning of the end of this dark fashion. It’s not surprising that Public Knowledge doesn’t get it. Companies are increasingly aware that their valuable brands are being trashed by association with all manner of sketchy or outright illegal sites with advertising for illegal drugs, human trafficking, financial products and–yes, copyright infringement, but not just copyright infringement. This at the same time as Google is trying to get into the mainstream entertainment business with Google Fiber and its various other products. When fashion turns, it leaves all those people with mullets, platform shoes and superwide ties in the lurch. A closet full of crap and a brain full of mush, weird hair and no dates. It’s the economics, stupid. Who in their right mind could imagine that the world could continue to look this way? Who would really think that many, many artists and media companies have anything but public and private contempt of the first order for Google? An ontological level of distrust? And who would really think that the brands that also court relationships with top athletes, musicians, artists and actors would continue to get ripped off by having their advertising served on millions of unsavory sites. And guess what–when a big brand picks up the phone, they don’t want to hear about how Google is trying to bust another union or wants every link on every page to be adjudicated an infringer before they take action while reposting disabled links in near real time in the cesspool regions of Blogger. Google’s excuses have nothing to do with the brands. If brands don’t want their ads on site X, then the ads won’t go on site X. End of discussion. And Internet users will be the better for it. Unless they’re trying to buy a bride or score some oxy. And I have to believe that Attorney Bergmayer knows this. He surely can’t be that sheltered. Time for a haircut and spring cleaning. Google offers the Mack Daddy special. We can’t make this up. Google started promoting their “Hot Searches” list this week. 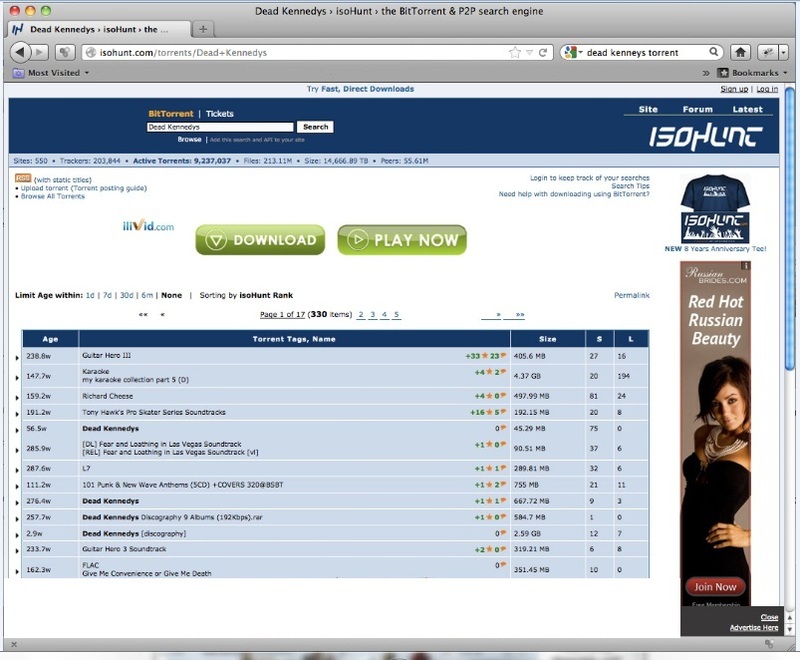 They rolled it out with a screen shot showing The Pirate Bay at the top of the list of “Hot Searches”. It don’t get no more simple than this folks.